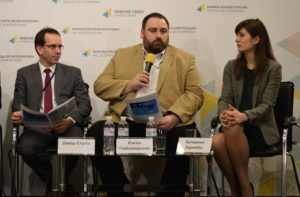 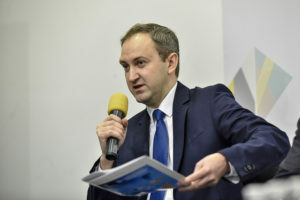 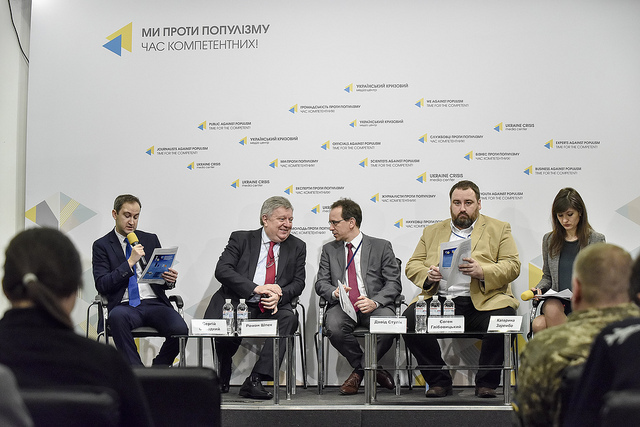 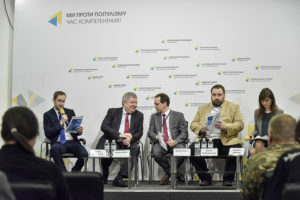 Presentation of the opinion poll “Foreign Policy of the Future President” – Центр "Нова Європа"
Key survey conclusions were presented by Sergiy Solodkyy, first deputy director of the New Europe Center. 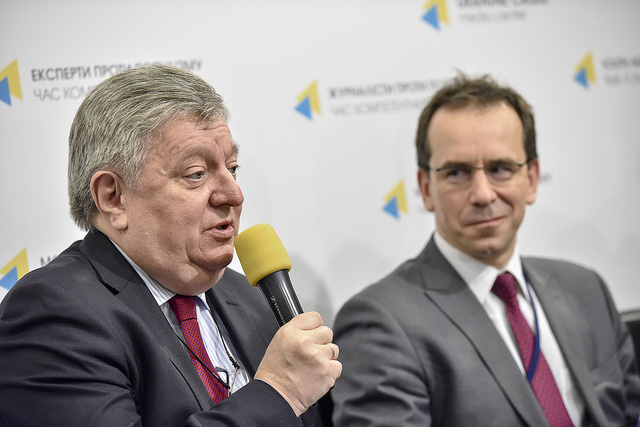 “Orientation towards Europe has no alternatives. For 54% of Ukrainians, it is important for the future President of Ukraine to continue European integration,” noted Solodkyy. According to his words, it is believed by 13.44% of Ukrainians that the future President of Ukraine should take an example from the President of Belarus Alexander Lukashenko. 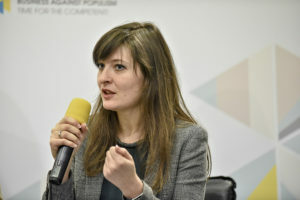 German Chancellor Angela Merkel’s political style is favored by 9.83% of the respondents. The third most popular option is Dalia Grybauskaitė, leader of Lithuania. It is noteworthy that 49,85% were not able to decide which foreign leader should be a role model for the future President of Ukraine. 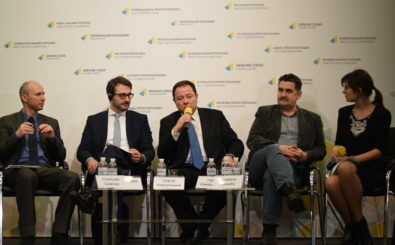 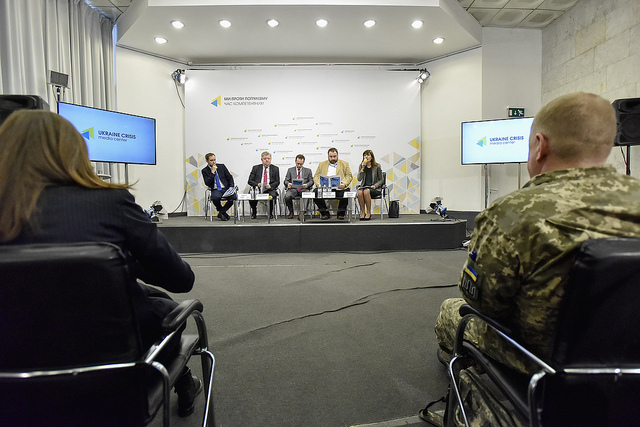 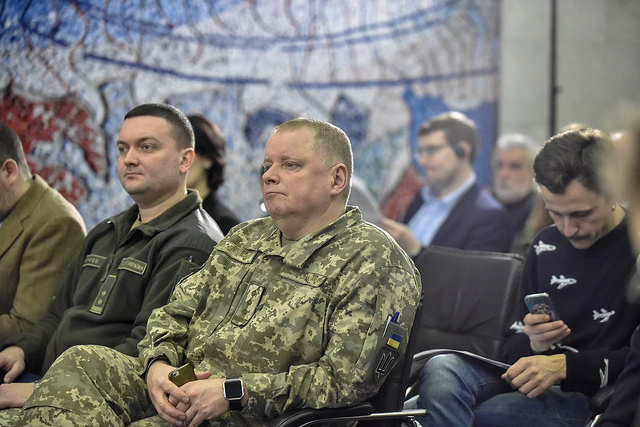 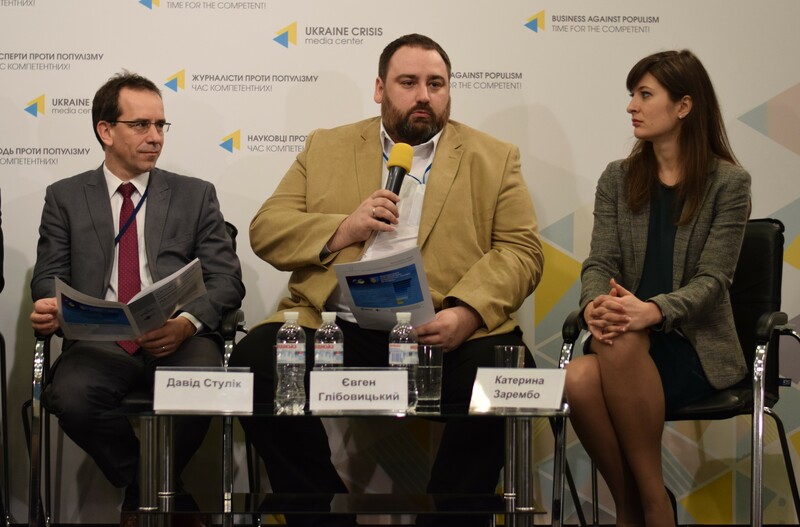 The following experts discussed the opinion poll results: Roman Shpek, member of the NEC’s Strategic Advisory Group, Ukraine’s Ambassador to the EU (2000-2008); David Stulik, Press officer, Delegation of the European Union to Ukraine; Yevhen Hlibovytsky, Nestor Group member. Kateryna Zarembo, NEC’s deputy director moderated the event. 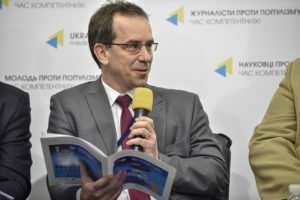 The discussion paper was written as part of its project implemented under the USAID/ENGAGE activity, which is funded by the United States Agency for International Development (USAID) and implemented by Pact. 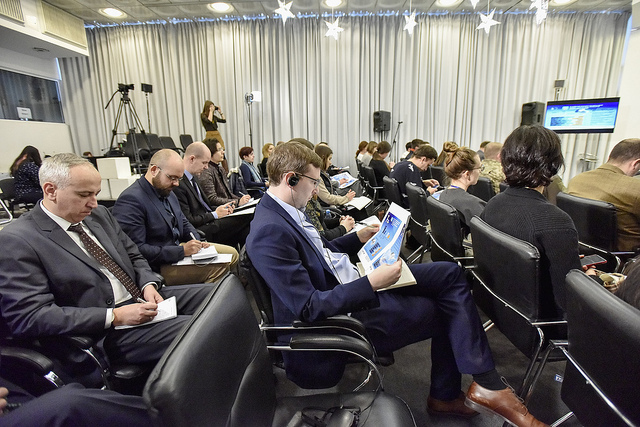 The content of this discussion paper is the sole responsibility of New Europe Center and Pact and do not necessary reflect the views of USAID or the United States Government.